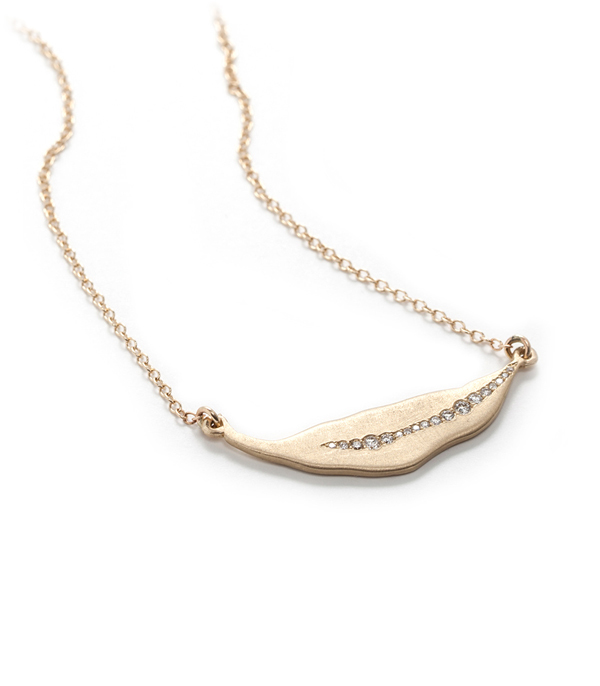 Graceful and simple, this horizontal 14K gold leaf pendant is inspired by nature’s textures and beautiful irregularities. Our favorite features include Sofia’s signature organic torn paper edges and an undulating line of pavé set diamonds (0.20ctw) running three quarters of the way across. The sparkling diamonds add a glimmer of shine to this unique necklace. Wear it as an everyday piece or layered with your other favorites from our Poésie Collection for a more dramatic look!